In this month’s episode of the Fierce City podcast we have jumped into the art world to learn about the Pre-Raphaelites. We tell the story of the three founding members, their friends and supporters, and their occasionally mixed fortunes on the art scene of the mid-19th century. The Pre-Raphaelites by Christopher Wood, which gives a good overview of their whole lives and careers and has lots of pictures, including the big hits. There’s also general info and a lot of links available from the British Library and the V&A. You can read John Ruskin’s second volume of Modern Painters for free on Kindle or the Kindle app on your phone. John Keats’ The Eve of St Agnes is available to read online. As is Goblin Market by Christina Rossetti. Sir John Everett Millais, Christ in the House of his Parents (the Carpenter’s Shop), 1849–50, Photo © Tate, licensed under CC-BY-NC-ND 3.0 (Unported). William Holman Hunt, The Eve of St Agnes, (1847–57 [this version is a sketch for the full version of the painting we discuss, which is in the Guildhall Art Gallery in the City of London]), via Wikimedia Commons. 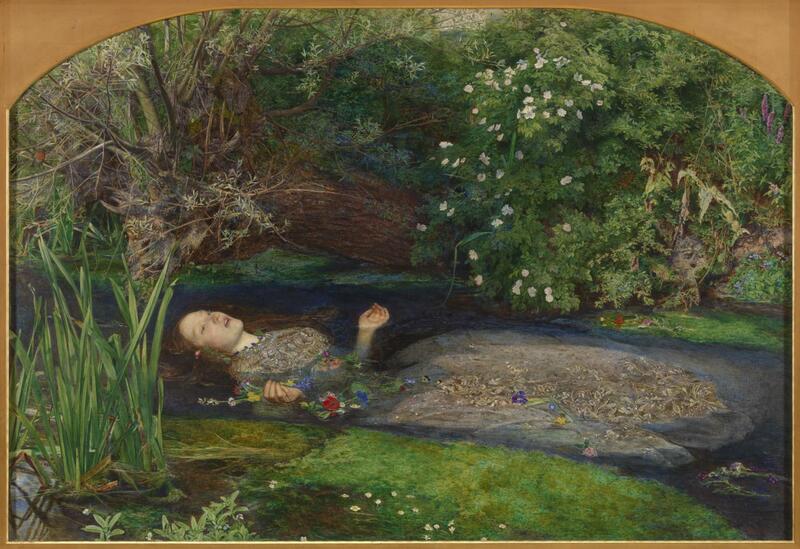 Sir John Everett Millais, Ophelia, 1851–2, Photo © Tate, license under CC-BY-NC-ND 3.0 (Unported). Sir John Everett Millais, The Order of Release 1746, 1852–3, Photo © Tate, license under CC-BY-NC-ND 3.0 (Unported). Dante Gabriel Rossetti, Beata Beatrix, 1864–70, Photo © Tate, license under CC-BY-NC-ND 3.0 (Unported). You can see work in the Pre-Raphaelite style by Elizabeth Siddal at Lizziesiddal.com, but bear in mind these are small works and it’s best not to compare them to the large paintings above.